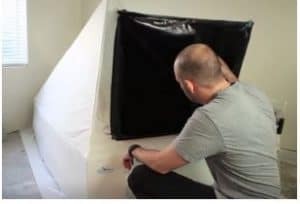 If you are passionate about floating and if you care about the modern inventions that can enhance your health and make your life more comfortable then you will find this Zen Float Tent review very intriguing. It is not a surprise that the sensory deprivation becomes more and more popular these days. Every day, thousands of people learn about the scientifically proven positives of floating in a tank full of Epsom Salt. 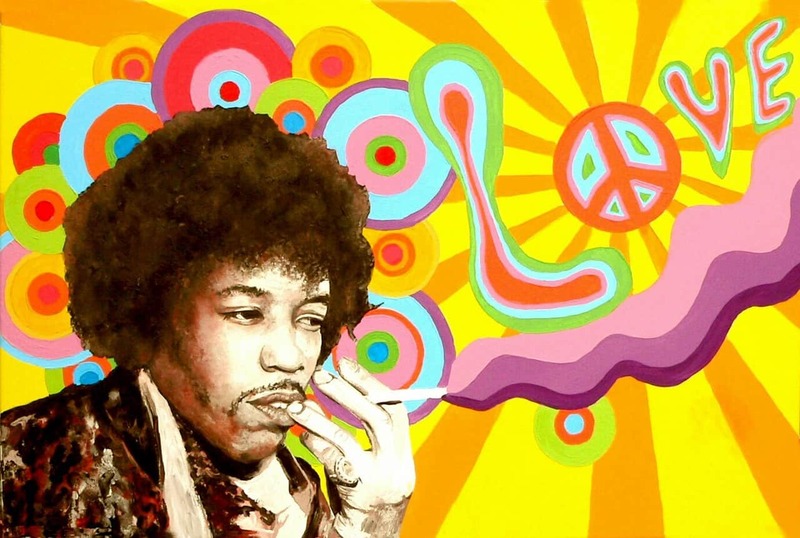 It turns out that it significantly reduces stress, anxiety, and pain. Moreover, spending some time in an isolation capsule plays a key role in increasing the quality of sleep and boosts the levels of liveliness. The most common way to enjoy the floatation therapy is to visit a float spa center. As you certainly know, an hour of floating in such a place varies between $60 and 100$ depending on various aspects. Now imagine that you have your own floatation tank right next to you, at the cozy premises of your home. It sounds alluring, doesn’t it? 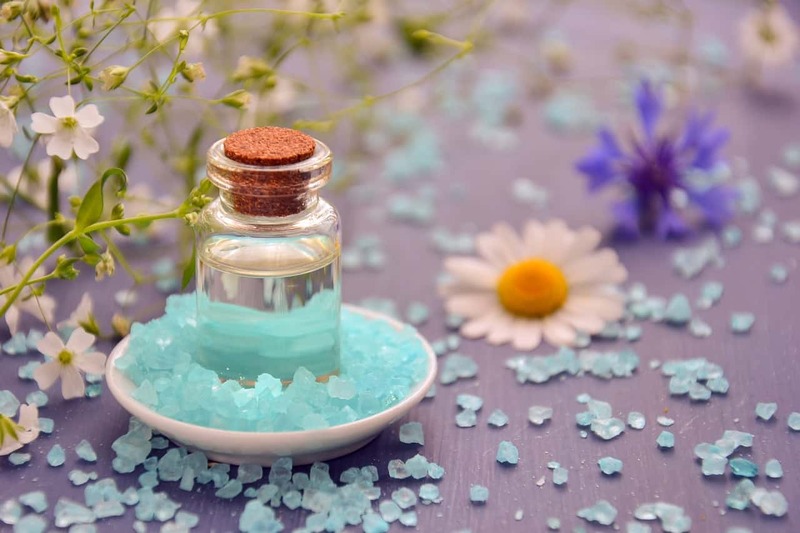 Searching for the closest spa center, then booking a float session in the busy schedule and spending an hour or sometimes, even more, driving to get there could be very annoying. It was a matter of time for someone to invent a product that could try to solve these problems. 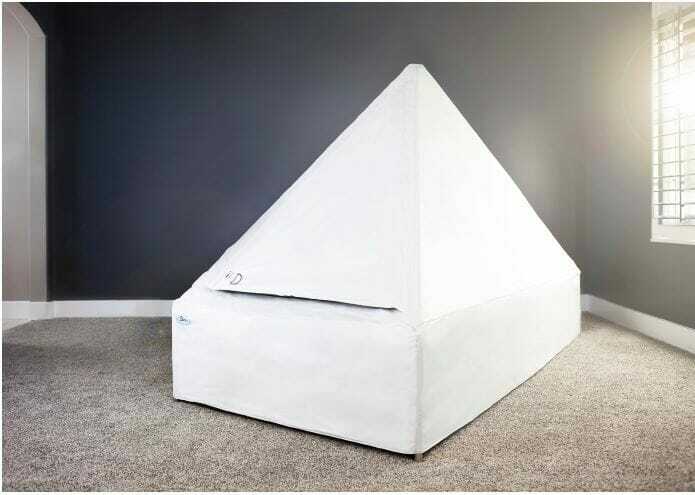 The creators of the Zen Float Tent seem to have found an innovative way to satisfy the rising need for a better floating of thousands of sensory deprivation enthusiasts all over the world. Now floating at home is already possible at a reasonable price and the number of people who are enjoying it increases every day. If you are reading this, chances are that just like me, you also have a vivid interest in the floatation therapy. That is why every new product arouses our interest. In the following sentences, we are going to take a deep look at the trendy Zen Float Tent, designed for home use. We are going to discuss how it functions, the pros and cons, the price, the customer feedback about it and if it is worth having one. 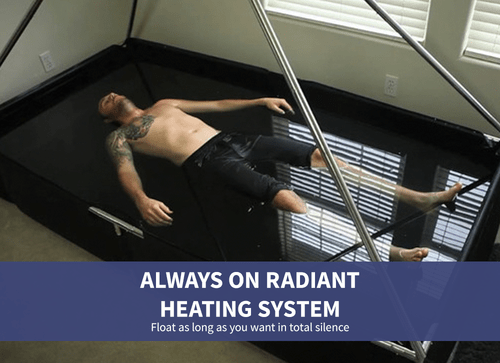 By the end of this unbiased review, you should have a good idea as to whether this home float tank is right for you. Grab a cup of coffee and use the table of contents at your convenience in order to jump through the various sections of this detailed review. 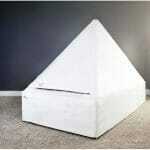 In its essence, this is a sensory deprivation tank in the form of a tent, intended specifically for home use. The product was developed in 2014 by a small team of passionate floating fans based in Midvale, Utah who later established the company ‘Zen Float Co’. Based on my interactions with them, they are a bunch of lovely people who really want to make the world a better place. 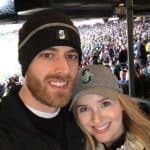 Their customer support is fast and very reliable and they were able to promptly answer all of my questions regarding the tent. At one point, we even started to communicate informally, just like good old friends. The CEO Shane Stott shares in an interview that years ago he was battling stress and anxiety. You can read his powerful story in the compelling book ‘The Float Tank Cure’. Then he started floating and he immediately began to feel the positive impacts that this therapy had on him. The problem was that he needed to float every day but this turned out to be expensive and hardly accessible. That is how he decided to try building his own floatation tank. Shane and his team strongly believed that floating shouldn’t be reserved only for the people who had unlimited possibilities to go to fancy float spa centers. Besides, they aspired to offer a more convenient way of floating which included more comfort and less money. This is how the idea of the Zen Float Tent was born – an easy to set up and maintain tank destined for the working class people that could be placed in a regular room. In order to finance their new invention, they started a crowdfunding campaign at the online platform Kickstarter. The idea received huge support from people all over the world who also wanted to have the chance to float at home. In an impressive amount of time, the finances were gathered and since then, thousands of tanks were manufactured and shipped worldwide, thus helping many people to significantly improve their floating experience. In brief, the Zen Float Tent is a sophisticated tent with heating and filtration system that needs to be filled with water (approximately 201 gallons/760 liters) and Epsom Salt (800lbs/363kg). 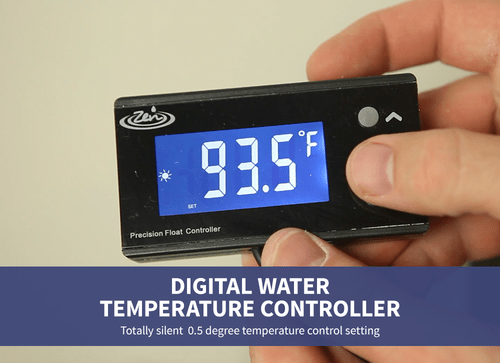 The water is heated to a body temperature (93.5°). In that way, one can float more comfortably without any time limits because the water is neither too hot, nor too cold. If maintained properly the water and the salt need to be changed once per 1-2 years. So this is pretty much a set up and forget it installation which makes it user-friendly. Another good thing is that the tent looks very homey and it can easily fit in with the rest of the furniture. The outside of the canvas has a white finish, while the inside finish is black in order to isolate any light. There are four versions of the Zen Float Tent available and we are going to depict all of them. They are more or less the same with some small differences based on the location of the owner. Due to the high ongoing demand for float tanks, Zen Float Co switched to a pre-ordering system. That allows the company to plan wisely how many tents/tanks they need to manufacture in order to satisfy the rising demand for months ahead. In that way, they make sure they never overproduce or under-produce stock. That is why when ordering the tank or the tent it may take a certain amount of time for the delivery. So make sure to pre-order in time in order to avoid waiting too long. 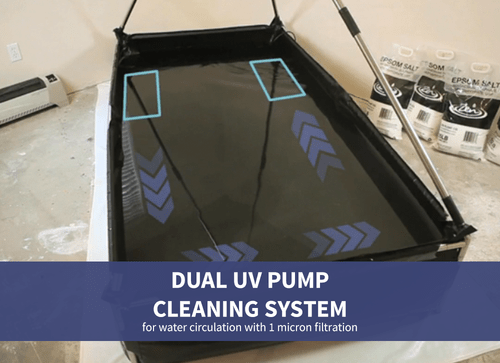 This is the newest innovation in the home floatation tanks industry. It is an upgraded version of the zen float tent that is more or less like a commercial tank. It is so incredible that I devoted an entire article about it since there are a lot of things to be mentioned. Don’t miss to read it HERE. This is the most common product courtesy of Zen Float Co. This is the standard home tank that could be shipped and used all across America, Canada, and Mexico. Basically, with this Zen Float Tent, you receive everything you need in order to float except the salt. 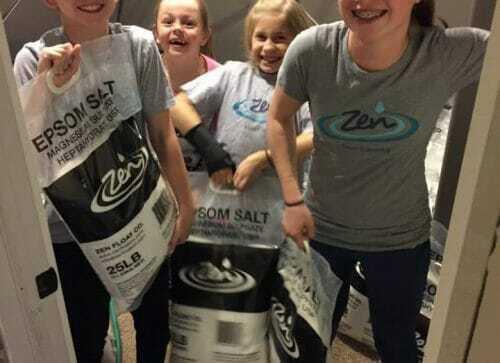 Zen Float Co offers affordable Epsom Salt in bulk only for customers living in the lower 48 United States. This is because of the huge shipping costs that apply outside that area. The good news is that it is not a problem to find salt if you live elsewhere. You can find salt (it must be USP grade Epsom Salt) in a local Univar. Also, online stores such as Walmart and Costco are another option to find salt in bulk. Not living in America? Don’t worry, you’ll float too. This Float Tent is destined for everyone outside of the USA. While the technical specifications are more or less the same as with the other tents, there are some important differences to consider. These differences come mainly from the electrical components. In US the electrical system used is 120 volt, whilst the most international countries use a 240 Volt system. Because of that, the electrical outlets are different in most of the countries outside of USA. That is why the US version of the tent comes with US plugs attached to all powered components. The float tents are shipped with the plugs attached to the wires so that the customers can go to any building supply store and install the correct plugs on the tent. With all that being said, every international customer would have to use the services of a professional electrician to wire the plug ends and to install a GFCI/RCD device for safety. Now, this is really exciting, especially for those living in the lower 48 states of America. 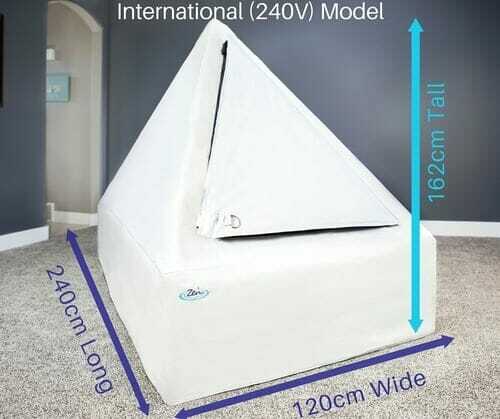 North America Float Tent (120 V – 60 Hz) with all its components as already described. All Shipping Costs Included in The Price – freight, lift gate service, and residential delivery during business hours. The cost of all these taxes could be close to $1180 depending on the freight price. 850 lbs of Epsom Salt. This is entirely sufficient for the first year and ordered separately costs $432. Ear Plugs – enjoy the silence and imagine the comfort of floating without the water entering in your ears. Ordered separately, they cost $5. 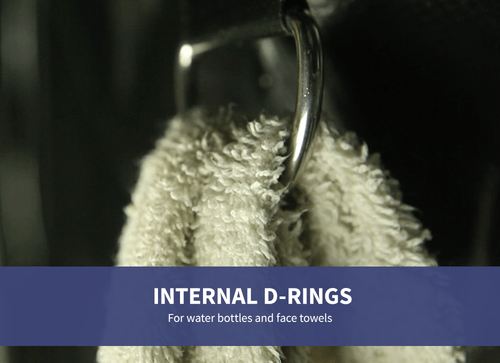 A very detailed water care maintenance guide – this includes tips and best-practices on how to take care of the water in the tent. This is crucial for preserving the water clean and bacteria-free. 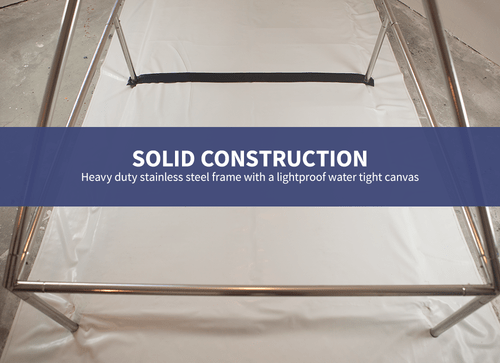 In-depth assembly manual –comprehensive enough, it will surely help to easily set up your float tent. Underwater Headphones – ordered separately, they cost $30. This is a small compliment that comes with the deal that certainly can make your relaxation even more pleasant. 8 oz. pH Up + 8 oz. pH Down – this is an important maintenance component. You can find similar products at Amazon for $9. Let’s see how to set up this home float tank. The good news is that the tent comes with a very detailed manual with illustrations so that everyone can assemble it in less than an hour. It is all very logical and every part has its place. The tent comes in two boxes: Box 1 – 80x57x30cm and Box 2 – 133x30x22cm. Watch the video below which shows a demonstration on setting up the tent. It is recommended to put the tent in a quiet place in your home. Even though you will use earplugs while floating, it is always better to avoid all kind of noise that may interfere. Don’t forget that the point here is to achieve sensory deprivation and living next to the airport might be an obstacle. As described in the manual, it is strongly recommended to use water care and cleaning supplies in order to maintain the water as clean as possible. That includes water skimmer, 35% hydrogen peroxide, PH Up and Down, and Peroxide Test Strips. You can find all that on Amazon or at a local pool supply store. In order to make the maintenance a lot more easier and to keep a clean floating as long as possible, make sure to take a shower before you float and to rince your hair. Also, don’t use any oils in the water. Make sure to consider the monthly heating costs as well. Roughly, depending on where you live, it is usually in the range of $30 – $100. The warmer the room where you put the tent, the lower your electricity bills would be. Plan your budget wisely. 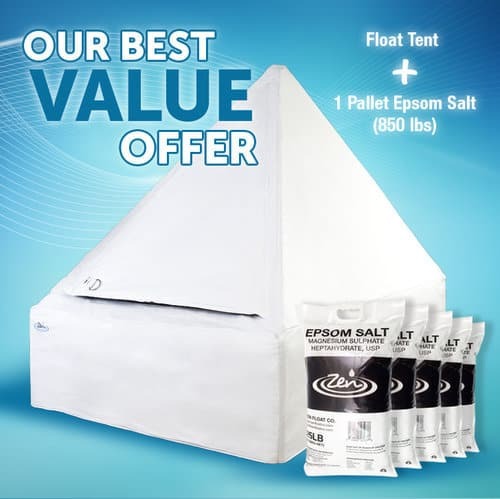 If you don’t live in the lower 48 states and you can’t take advantage of the ‘Float Ready’ package deal, then you should plan an additional $1000 for Epsom Salt ($432 for 800 lbs. ), water care supplies, and shipping costs. All international customers are expected to pay the VAT and duties as well. The usual shipping costs in USA are approximately 105$ and when the tent is shipped overseas the price is in the range of $250-$700. One good thing is that there is a financing option available that allows you to pay for your tank over time with a 0% interest. This is a relief from the obligation to pay the whole price at once. In terms of affordability, this makes it easy to start floating at home right away. This is an important and sensitive subject to all of us. 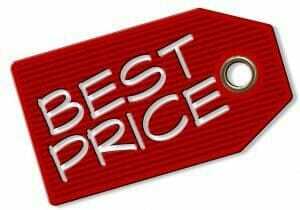 The price of a given product should always reflect its quality. I decided to devote an entire section about the price of the Zen Float Tent because it is widely marketed as the most affordable floating tank in the world. This is a bold statement that surely brings the question: is it really so? The price of the regular tent is $2200. This is for the North America version and for the International version. The package deal including tent + Epsom Salt + Shipping and Handling +Water Care Supplies + Bonuses is at the price of $3200. Let’s do some calculations and comparisons in order to have a better idea of the costs significance. If you are serious about floating, then you should float at least once per week. One floating session at a SPA center costs around $60 – $90 per hour. Yearly, that makes roughly $3800 for floating only once per week, each session being one hour. 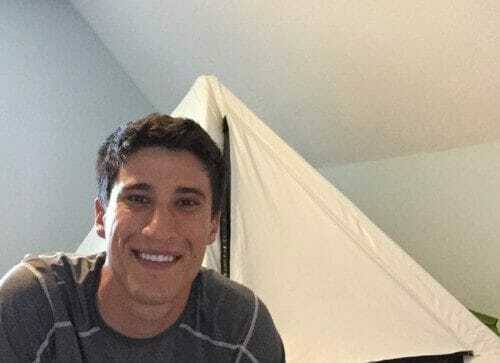 Now, if you compare it even to the ‘Float Ready’ package deal tent which costs $3200, then it seems that if you were to pay to float once a week for a year, you would have already paid off the price for a Zen Float Tent. The same applies for the International and for the North America version both of which are $2200. Even if you add the additional costs of approximately $1000 (not applicable for the ‘Float Ready’ tent because these costs are included in the price), it is still lower than the estimated $3600 that you would give if floating at a spa center. Furthermore, if we want to stick to the details and add the monthly water heating expenses for a year ahead it makes $3200 + $480 = 3680 (roughly, the heating costs are around $40/month). Sure enough, when calculating this investment, we totally ignore limitations such as time to float and transportation costs, applicable if you book a float session at a SPA. Of course, the numbers given are approximate but one can easily conclude that owning a Zen Float Tank is worth the money from a financial point of view. If we have to compare the Zen Float Tank with the other tanks offered on the market, then you should take into consideration that their price varies between $13 000 – $35 000. You can find second hand options online starting from $6 000. Not to mention that they are not designed for home use – they are too big and expensive to maintain. 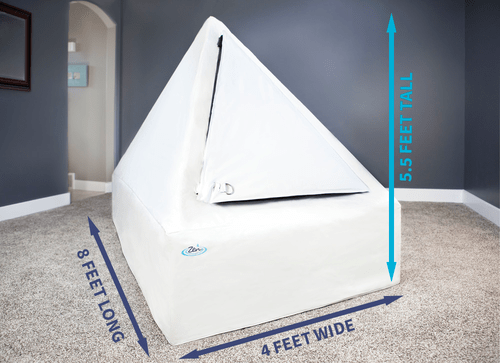 The wrap it all up, if you a floating enthusiast and you regularly practice sensory deprivation, then having a float tent will significantly ease your life and save you time and money. For just a fraction of the cost of a commercial float tank, you can get started floating at home right away! Of course, the science behind this tent seems very impressive. But does it actually work as advertised? The rest of this review will be devoted to what others have experienced using the world’s first and most affordable home float tank. Before jumping to that, however, I’d like to mention something important. What I personally like a lot about Zen Float Co is the fact that they listen to their customer recommendations and address their complaints with a friendly care. A while ago, some users reported on the company’s Facebook page that they experienced issues with the heating system as well as with the water pump. The guys from Zen Float Co responded immediately and replaced their parts. Furthermore, as of May 2017, they completely redesigned their single pump high-powered filtration system in order to enhance their product. All that, to better suit the needs of their customers. So here are some real testimonials from users who purchased the float tent. Their full statements as well as plenty of other customer reviews you can read on Zen Float Co’s Facebook page. I have wanted to float at home for ten years now and it’s finally possible with the zen float tent. I love it and it was pretty easy to set up. The videos really helped. I am so happy this company is dedicated to making floating available to the masses. In a few words – the tent is great, well thought out and a massive bonus to have it in my house & life. All in all I am very happy with the tent. I can float at home when I like and after a little bit of learning / adjustments everything is great. It is awesome to be able to float at home! I initially had some issues with the float tent which Zen quickly addressed once I got their attention. The product works as advertised and the customer service has been great. I cannot recommend more this product! I have recommended the tank to everyone! A few months ago my husband and I purchased the Zen Float Tank. I am so glad that we made the decision. We both love the float tank. Now, let’s jump to the last, very important section of this review. The Zen Float Tent is a surprisingly well-thought out product that works as advertised. Like everything new, it requires some patience at the beginning but once you become acquainted with the routine, the tank will be your best friend. 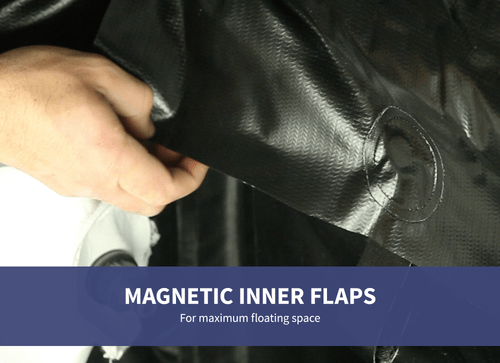 It offers great comfort at an affordable price that saves time and money for everyone who is passionate about floating. Just imagine that every time you want to float, you will be able to do it right away in the next room as long as you wish. Enough with the expensive and time consuming spa sessions. Based on my opinion, probably the best thing about this game-changing home tank is the excellent documentation that makes it very easy to set up and maintain. Not to mention the outstanding customer support and the friendly Facebook community that grows bigger every day. How serious exactly are you about your floating experience? If the answer is positive, then don’t wait and get your Zen Float Tent right now! You won’t regret. Thank you for reading this Zen Float Tent review. Should you have any questions or comments, please speak your mind in the comments below! I will gladly answer all of them. Happy floating. Very interesting. Floatation therapy sounds wonderful. The floatation therapy is not only interesting but very healthy. Thank you for stopping by. 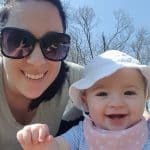 My wife really struggles with anxiety and not much that we have tried seems to work. I had never heard of this before but at his point we are willing to try anything. Will definitely have to show her this. Thanks for all the info. I am sorry to hear that about your wife. I am quite positive that sensory deprivation can have a really beneficial effect here. So try it and I hope for better results. Thank you so much for sharing your impressions with the Zen Float Tent. It is always great to obtain an unbiased feedback from a keen floater and zen float Co customer. You are one of the many floaters who confirm that the tank works as advertised.It is amazing how the tent changed the lives of so many people for the better. I strongly believe that more and more people need to learn about it and use the floatation therapy in their homes in order to enhance their well-being. I’d never heard of zen floating until I looked at your site. It sounds like a very beneficial and healthy practice. Your information is complete and quite informative. Thanks for presenting us with this information. 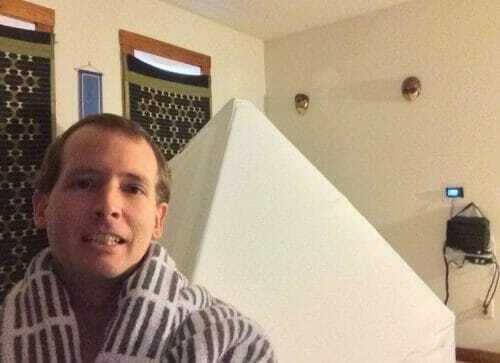 Floaitng in the zen float tent is indeed very beneficial for one’s health in a long term.You have to try it! The tent looks great and I must say that I thought it would be much expensive but it is a fair price for a product like that. I got really interested in floatation reading the stuff here on your website. Thanks for all the information so far. Thanks you for visiting once again! The price of the zen float tent is the best one on the market.It is surely a worthwile investment. I’m amazed and intrigued by this idea of flotation therapy! 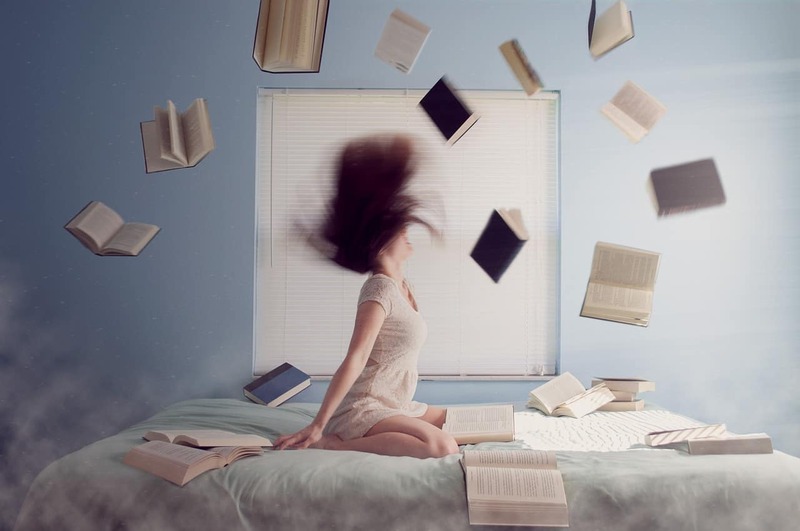 I can imagine I will definitely enjoy it thoroughly, I love to just do nothing at times, but the stress and pressure of everyday living can get to us. Float 10 times and you get the cost back, compared to sessions at some spa centre. This certainly sounds attractive! Will give this float tent some serious thought, and also think about where I can place it at home, my place is not very big, and I have kids running around the house. Many people are surprised to learn about the many benefits of the sensory deprivation when they hear of it for the first time. I am sure that you are going to like floating. Very interesting post. I did not know about this therapy, and certainly, for those who need it, you bring joy with this work. It seems to be very practical and affordable. Just for the fact of having it at home, and saving money on spas and time going back and forth it already worth the investment. Then the therapy itself is like pure profit. Thank you for reading. The floatation therapy is still in its infancy but it is getting more and more popular just like the zen float tent. I’ve heard of floating / sensory deprivation therapy in passing, but have never checked it out. I think that the idea of being able to do this in ones home is incredible – I only have seen that on the show Frasier before :). Thanks for breaking down how the cost will actually save you in the long run too! I’m a money person, so I love it. I am very happy that the post was enlightening for you. I have never watched Frasier but I’ve seen the topic of sensory deprivation in various TV shows before. On of the most famous one is ‘Stranger Things’. Anyway, thanks for dropping by and I hope to see you around. This is absolutely astonishing. I think it’s great that somebody created a floatation tank for home use. Way to go Zen Float Co! And kudos to you Asen for writing this post. I have been interested in this form of relaxation/therapy for some time and I’m very excited about the prospect of owning my own tank (tent). I’m not sure I like the fact that the water and salt need to be changed only 1-2 times per year. This could get a bit messy, if you know what I mean, although, being an inherently lazy person, this could actually be a good thing. All in all a good idea. Thanks. Thanks for taking the time to read the post and to drop a comment. The water in the tank is meant to be changed on every 1-2 years on purpose. In fact, there is no need to touch it before that period since it is maintained perfectly clean via the sophisticated filtration system. So there is no need for worries for that.See you around! Well written, precised and in depth review! 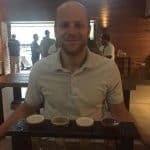 You have covered everything– every questions I have in mind about Floating. I think this something that everybody wants to have. And with all the stress we’re facing everyday? It will be great and absolutely a time saver to have it at home. Thank you for reading! Glad that you like the conception of being able to float at home. This is an awesome item I’ve never heard of. The thought of this make me relaxed and I want one. You have to try floatation therapy! You’re going to lov it, trust me on that! This is very interesting information, as I have not heard of a float tank before. I assume that it is a stress reliever? I am curious what all the benefits are for this. I could see having this at home and I would use it for relaxation. I would just like to know what else I could expect as a benefit? How long do you float for once you are on it? Floatation therapy offers some really cool benefits for one’s mind and body.As for how long you float, it depends but usually a float session lasts for 60-90 mins. If it is your first time, though it would be 45=60 mins tops.